Performers include: Lili Taylor, Derek Riddell, Mido Hamada, Theresa Randle, Devon Gummersall, Kevin Chamberlin, Chris Diamantopoulos, Rusty Schwimmer, Courtney B. Vance, Kevin Rankin, Yareli Arizmendi, Michael McGrady, Cristine Rose, Sally Ann Brooks, Bresha Webb, Samira Damavandi, and Alec Medlock. 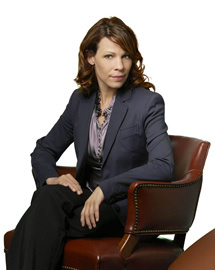 Dr. Ann Bellowes (Lili Taylor) counsels patients at New Haven Psychiatric Associates, an old Victorian house that’s been turned into an office for her and several other therapists, including her husband, Phil (Chris Diamantopoulos). Though Ann helps those cope with their own failing marriages, she’s not quite sure how to deal with the sight of her husband sleeping with their marriage counselor, Donna (Bridget White). Her colleagues and friends, — family psychologist Dr. Cordelia Banks (Theresa Randle), psychopharmacologist Dr. Taj Halid (Mido Hamada), and child psychologist Dr. James Lecroix (Derek Riddell) — all rally around Lilly to offer their support and expertise as she mourns the loss of her marriage. And even office manager Fred Smedresman (Kevin Chamberlin) and new tenant, attorney Barry White (Devon Gumersall), chime in with their own two cents as to how Lilly should carry on. Interestingly, while two co-workers offer Ann advice about her situation, they’re secretly participating in their own extramarital affair. Created by novelist Amy Bloom, this drama series examines how Ann must learn to pick up the pieces of her own life while advising her patients how to do the same for their own.